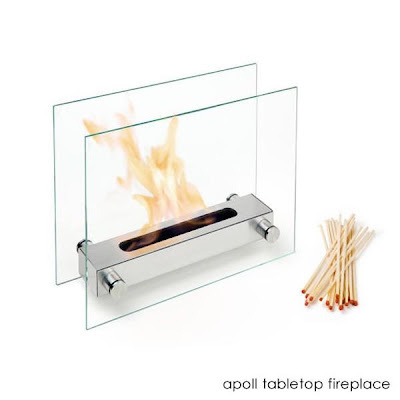 This is the Apoll table top fireplace from Carl Mertens, makers of tastefully designed items for dining. It sits about 13 inches high and 11 inches long. Perfect for small spaces other than your dining table such as a bathroom or living room coffee table.